All come stacked together on a O ring. Nesting design provides easy storage. Thumb rest on each handle. 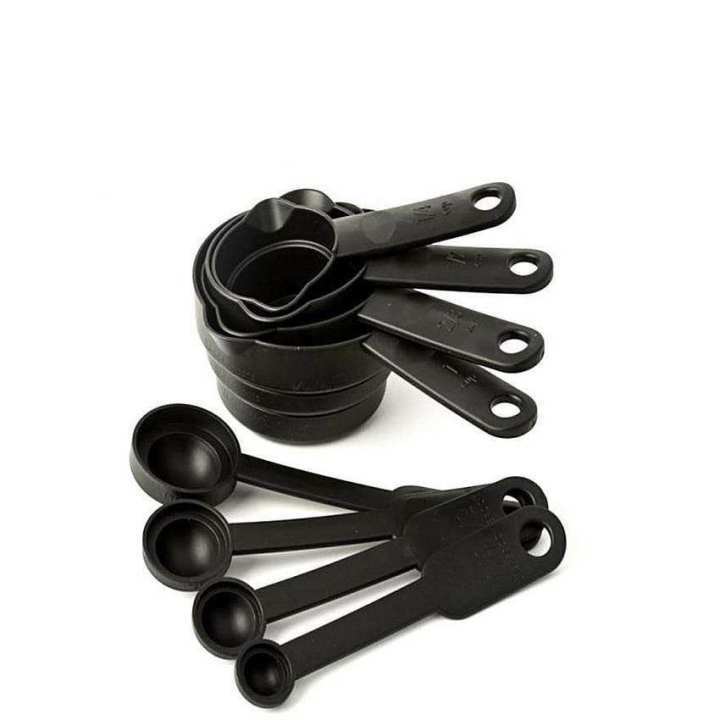 Set of 4 thick hard wearing black stackable measuring cups,with double pour sides. thank you for delivering on time... and good quality..